Tonight: Clearing, then more clouds late. 20s to low 30s. 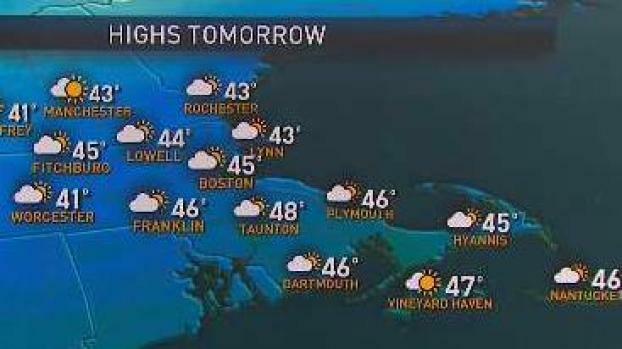 Tomorrow: Mostly cloudy. Low/mid 40s. Sunday: Sun & clouds. Low/mid 40s. In the meantime, the weekend is peaceful. Hardly a breeze with a slew of clouds and a little sun. Tides run high thanks to the full "supermoon" on Sunday. Could be some minor splash over/flooding from high tide on Sunday straight through Tuesday. Speaking of that time frame, we will have a gusty wind from the south (that could aggravate the coastal flooding) to bring back the warmth. With a slowing front, several pulses of rain will be traveling northbound too. That should set us up for a good soaking by Wednesday. Friday Night: Mostly clear. Lows in the 20s for most. Saturday: A milky white sky. Highs in the 40s. 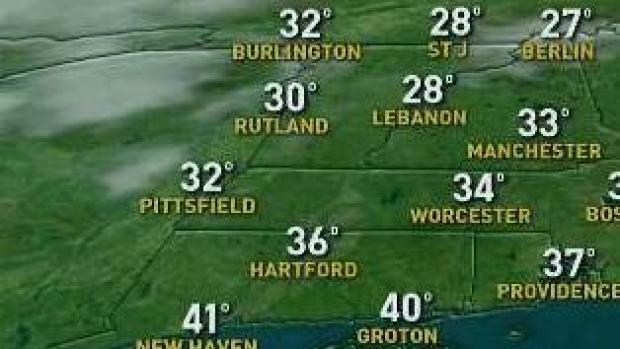 Sunday: Seasonable sun. Highs in the 40s. 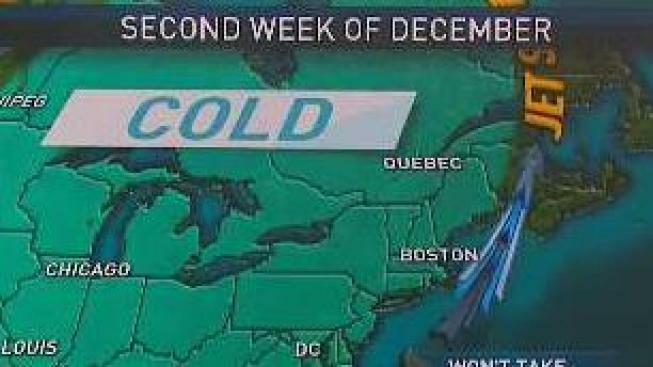 Cold will slowly trickle in over the following days. By the weekend, we'll fall to the upper 30s for highs. Still not cold enough for you? Well there are signs that even colder temps may be in the offing for the subsequent week.